Portable, Lightweight with Wireless Controller, this makes setup and ease of use phenominal. The scale design has 3 major elements: 4 low profile, portable, battery-operated weighing pads, and a wireless remote display. 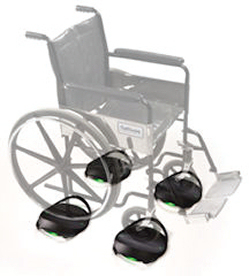 To weigh a patient, a health care provider places a weighing pad in front of each wheel and simply rolls the wheelchair onto the 4 pads. 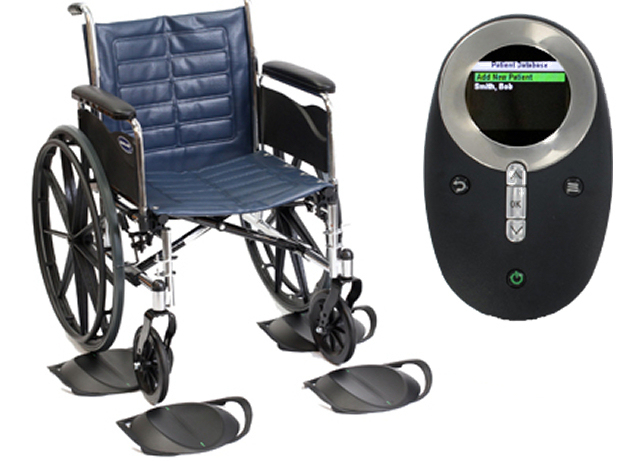 The pads communicate wirelessly to the remote display, which combines the measurements from each pad, subtracts the weight of the wheelchair, and displays the resulting patient weight.